The West Kentucky Alliance For A Vibrant Economy (WAVE) will host a information and training course for entrepreneurs or those interested in becoming an entrepreneur. This course is being presented by the Kentucky Entrepreneur Network. The six-session course will begin Thursday, October 12th and concluding on Saturday, November 18, 2017. All sessions will take place at the Carlisle County Extension Office. This FREE course is open to residents in the Jackson Purchase counties of Ballard, Calloway, Carlisle, Fulton, Graves, Hickman, McCracken, and Marshall Counties of Kentucky. 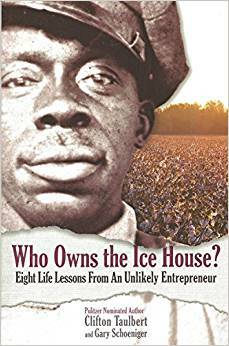 There is NO COST for the course however, participants are required to purchase the book "Who Owns The Icehouse?" by Gary G. Schoeniger. BOOKS MAY BE PURCHASED FROM ANY SOURCE HOWEVER, YOU MAY PURCHASE A BOOK AT A COST OF $15 THROUGH THE REGISTRATION FORM BELOW, IF YOU WISH TO DO SO. Register by Monday October 9th and we will waive the $15 purchase price of the book for participants in Ballard, Carlisle, Fulton and Hickman counties! ONLINE ACCESS is available for participation. To register for this course, please complete and submit the online application at www.kywave.com/entrepreneur.